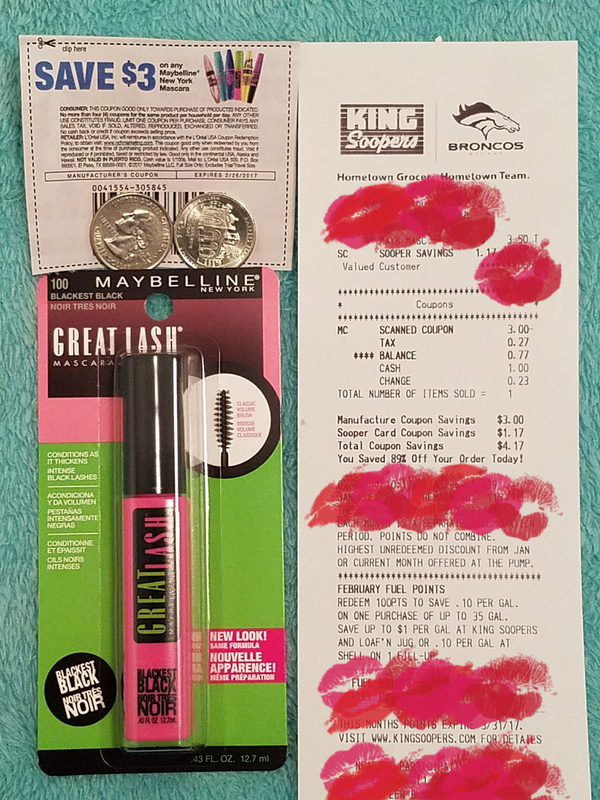 DENVER — Maybelline released a $3 off any mascara coupon in the Jan. 30 Red Plum insert booklet of the Sunday newspaper in most metro cities. King Soopers in the Denver area has a 25% off promotion with card on most mascaras until Feb. 20. The coupon is valid until Feb. 25 giving beauties almost two more weeks of great savings. 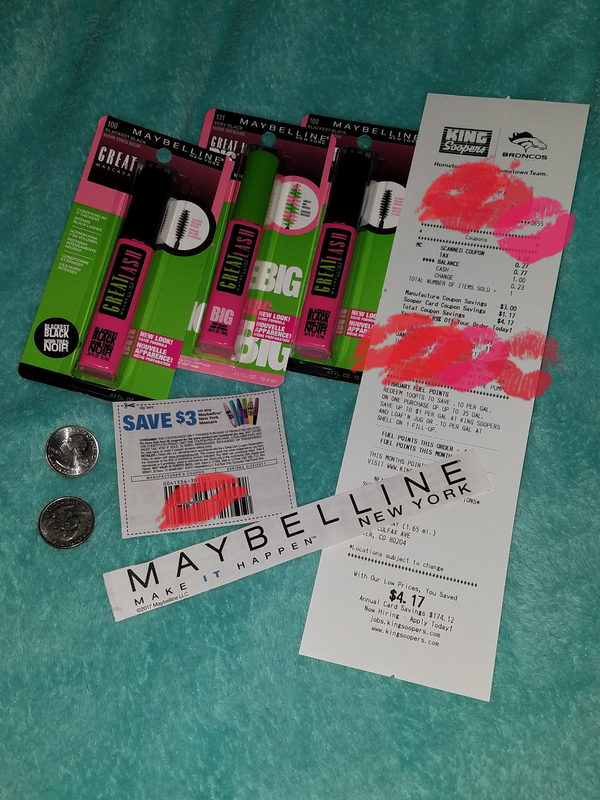 The original price for Great Lash is $4.67. 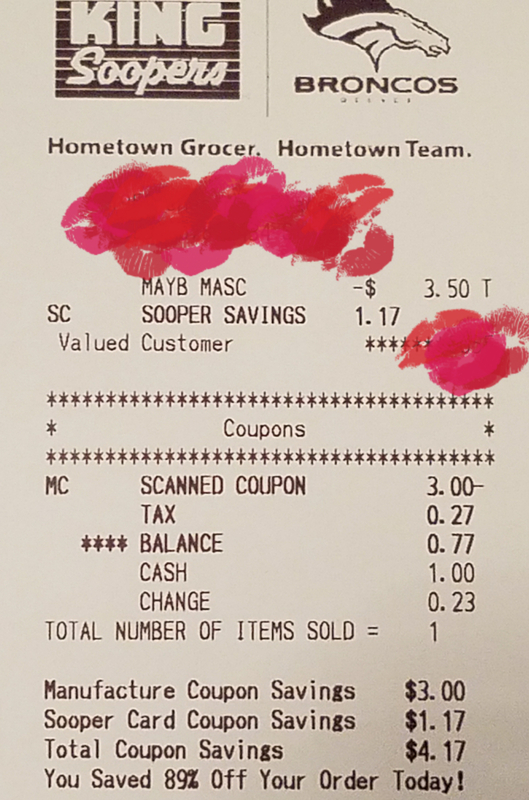 With the sooper card’s 25% savings, it brings the price to $3.50. Combining sale with coupon, beauties pay just 50 cents before tax (an 89% off retail savings)! Maybelline was one of the first mascaras I tried in high school and has remained one of my favorite drugstore brands. Great Lash has been highly recognized by consumers and industry professionals, including Allure Readers’ Choice and Best of Beauty Award winner. Previous Post Almay makeup wipes for 84% off!